Lumberton Schools are happy to welcome you to the 2018-19 school year. 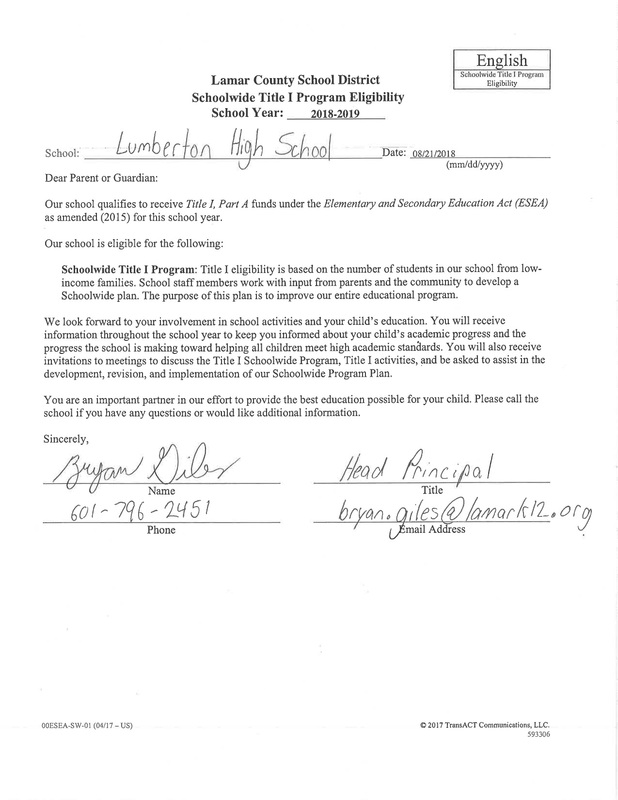 This year we will be adding the Lumberton Middle School to the High and Elementary. 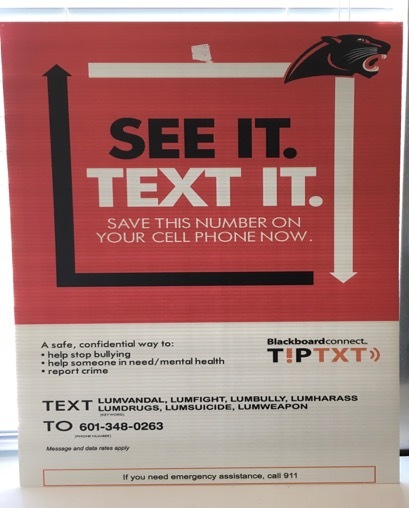 Save this number to your phone for a safe, confidential way to get help and/or report a crime. In accordance with the instructions set forth by the Mississippi Department of Education Office of Federal Programs, this letter is to serve as formal notice of Lamar County School District’s intent to apply for the Mississippi Department of Education, 21st Century Community Learning Centers STEAM grant program. The purpose of this proposal is to provide STEAM (Science, Technology, Engineering, Arts and Mathematics) opportunities for students during non-school hours or periods when school is not in session, such as before and after school or during summer recess. Through the grant program Lamar County School District will offer hands on STEAM activities before school, after school, and during the summer for at risk middle school students (grades 6-8). The focus of the program is to support student academic achievement, foster positive family interaction, and engage student interests. Students will experience project-based learning opportunities aligned with Mississippi College and Career Readiness Standards in a school based library Makerspace. In addition the grant will encourage family engagement through opportunities to learn from and interact with the larger South Mississippi Maker Community. Lamar County School District will enter the 2019 21st CCLC STEAM grant competition with intent to provide services to Baxterville Attendance Center, Lumberton Middle School, Oak Grove Middle School, Purvis Middle School, and Sumrall Middle School. Community feedback in encouraged and wellcome. Please send suggestions to teresa.jenny@lamark12.org or steven.hampton@lamark12.org.